Early registration is recommended. The registration is limited to 13,500 runners for full marathon, and 3,000 for 10km road race. Help us to spread about the Okinawa Marathon to your friends and family and neighbors and go for the challenge. 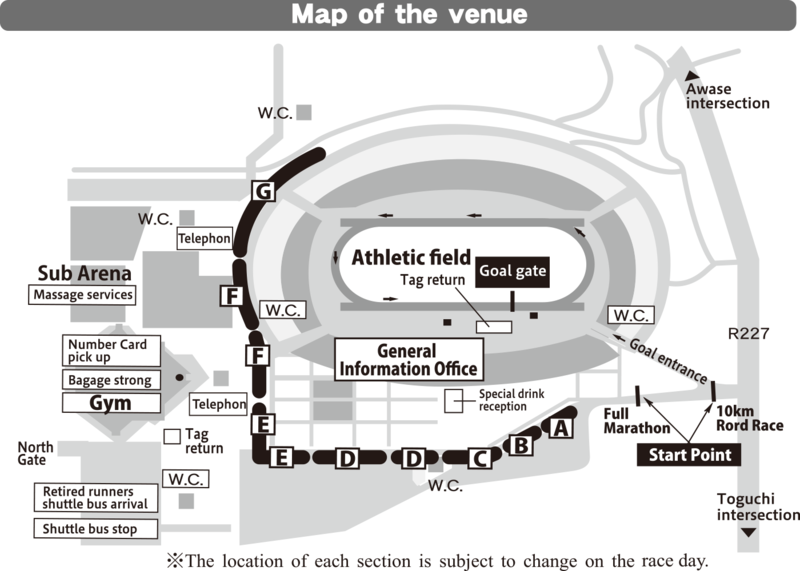 Okinawan newspapers, TV stations, and On-Base newspapers will also give you the information about this event both before and after the race. Okinawa TV (OTV) will have a special program showing the highlights of the run. 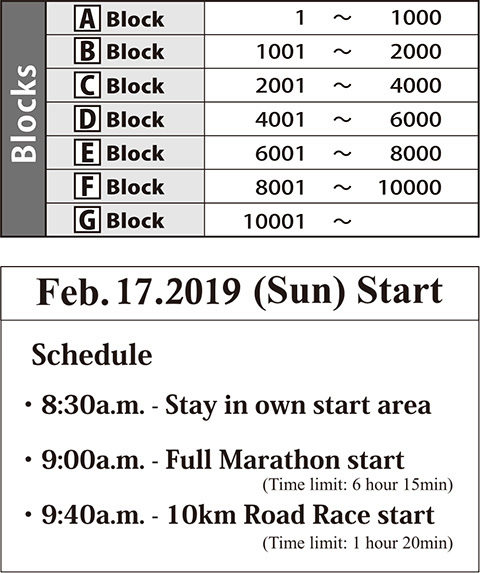 If you have any question, feel free to call or e-mail us at the Okinawa Marathon Executive Office. Number and address is listed below. English speaker will be at the office. *Those who cut the line off and do not follow the event staffs' guidance might be subject to disqualification from the race. *All runners positioned at the very back of the line after 8:30. Please step out of the course and take off the number card as soon as possible when you are told to drop out. Please proceed to the start line after the end of full marathon runner passed the start line. If your best time is under 40 minutes, please line up at the front row. Special drink is available for runners who are in A and B blocks. Please be sure to run over the detector mats which installed at the start point, goal point, half point, and every 5km points. f you don’t, your running time will not be recorded and will not be displayed on your race completion certificate. Also be aware that if you do not run over the entire detector mat you might be subject to disqualified from the race. So again, please be careful.